With all the scary, awful stuff in the spotlight recently, I appreciate the relative safety of fictional scares and suspense. Last weekend Chad and I saw Annabelle: Creation, part of The Conjuring franchise. We both flinched, gasped, covered our eyes, and quietly uttered "uh-uh!" and "oh no!" several times during the movie. That creepy doll was relentless! I can gasp in fright, then laugh at myself with relief about fictional supernatural forces. I can forget the real scary stuff for a while. Watching scary movies is like loosening a pressure valve, letting the anxiety and fear out a bit, before the pressure builds too much. I loved the 1990 version. This looks like a cool refresh on the story. Plus I have a little crush on James Norton from his work on the BBC mystery series Grantchester. Another refresh of a 1990 production. I loved the television mini-series of IT from ye-olden-times. The trailer for this newer rendering looks even better. Like the horror version of Groundhog Day, living the same day over and over until our hero gets it right, and foils her own murder: good times! Seriously, I'm super excited for this movie. Another retelling. When I was in middle school, I read just about every Agatha Christie book I could get my sweaty paws on. (I've told you guys repeatedly that I was a dorky, bookish child. Don't doubt.) This version looks moody, suspenseful and worthy of attention, even if most of us already know whodunnit. Creepy. Suspenseful. I may not sleep for days after watching this movie. The sepia-toned visual warmth of this movie adds a sinister layer of grimness and griminess to this mystery. Bill Nighy excels at portraying creepy confidence and brooding sense of duty. Yes, please. As an adult living in Austin, Texas, I don't love summer. In fact, I actively dislike summer. It's hot, too relentlessly sunny, humid but also lacking in meaningful rain, and about five months long. Let me emphatically repeat, it's HOT! 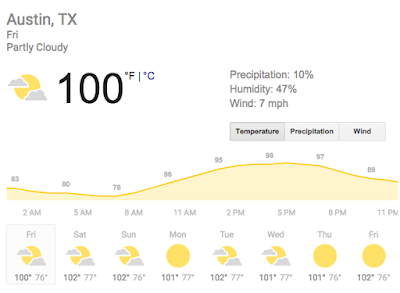 Summer in Austin causes me to plot my relocation to the Pacific Northwest every August as I stare forlornly at the extended weather forecast. When I was a kid, I also didn't love the summer heat living in Louisiana, Alabama, West Virginia and Texas. I did love the time off from school, especially those precious weeks each summer spent at sleep-away camp. My personal favorite camp I attended as a kid was Camp Cosby, a YMCA camp in Alpine, Alabama. Yes, it was hot in the summer. No, the cabins were not air-conditioned. Yes, the water from the shower smelled more like chlorine than the water in the pool did. The fun and adventure of Camp Cosby outweighed these trifling discomforts. Some years I went to camp the same week as a few of my school friends, and we bunked in the same cabin. Other years I made new friends on the bus ride from my local YMCA in Birmingham to Camp Cosby in Alpine. Bonds formed fast and often lasted after camp ended. As a kid with a limited amount of time at camp, you clicked quickly for maximum fun and friendship. Even after camp ended each summer, I kept up a pretty good penpal routine for at least a few months with my besties. 2. Sense of freedom from "real adults"
Sure, most of the counselors were ages eighteen to twenty-two, but they weren't paying a mortgage or paying back student loans yet. Overall the counselors seemed like a relatively good-natured bunch, happy for a summer paycheck. There were always a few camp administrators or camp nurses who seemed absolutely ancient compared to the campers, but campers never saw much of those figureheads. I especially liked the annual snipe hunt that the counselors took new campers on. 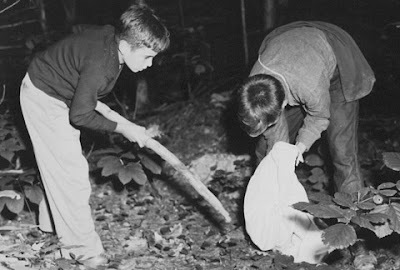 Would "real adults" take unsuspecting campers into the woods at night for a snipe hunt? I made about a bazillion "god's eyes" by wrapping yarn around popsicle sticks. 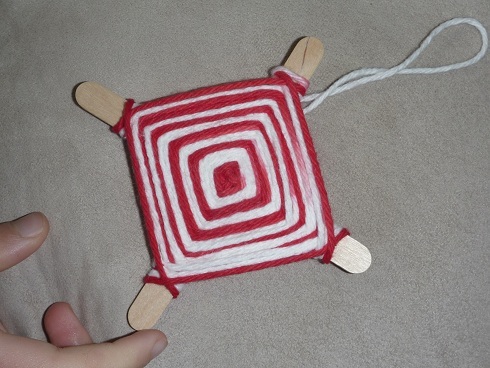 These days on Pinterest there are some super-fancy, multi-dowel, multi-colored god's eye projects. Mine were not fancy, used only two colors, only two popsicle sticks and ended up in the trashcan pretty soon after I returned home from camp. 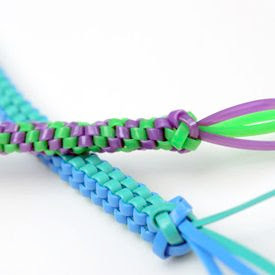 I also loved keychain weaving with plastic cords. I spent hours making fancy keychains and bracelets. The keychains were actually useful, and usually avoided the fate of the trashcan. I loved paddling a boat on the lake: more than riding horses, swimming or even water skiing. No, I am not in this photo. 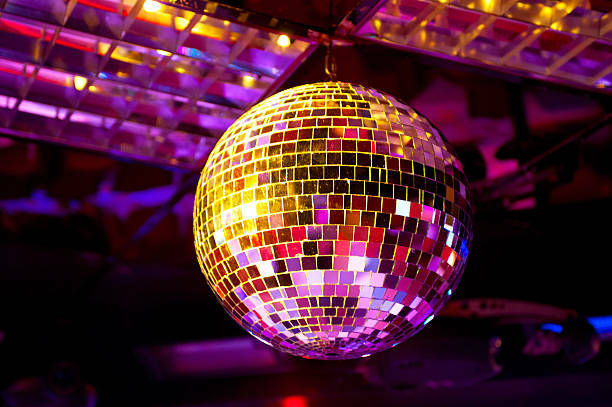 Once each camp session there would be a dance/social, varying in themes from disco to square-dancing to contemporary top 40 music. Campers never knew what the theme would be each session, but we did our best to wear appropriate "costumes" with the materials available. I remember braiding my hair and using eye-liner pencil to paint on freckles for the square-dance themed social. I remember the thrill of dancing with my camp crush, simultaneously feeling so shy and embarrassed. Did you go to summer camp as a kid? Did you love it, hate it or something in between? What were your favorite things?